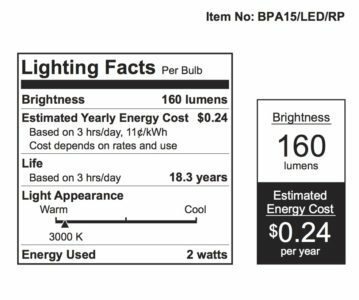 The Lighting Facts label is modeled after the Nutrition Facts label on food packages and mandated by the Federal Trade Commission. 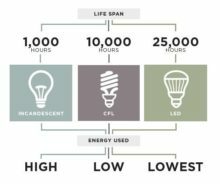 The purpose of the label is to provide shoppers with all the information they need to buy the most energy efficient bulb to meet their needs, but sometimes all the information can be a bit confusing. A Light’s color is often measured by color temperature, represented in Kelvin (K). The “warmer” the light, the lower the color temperature. 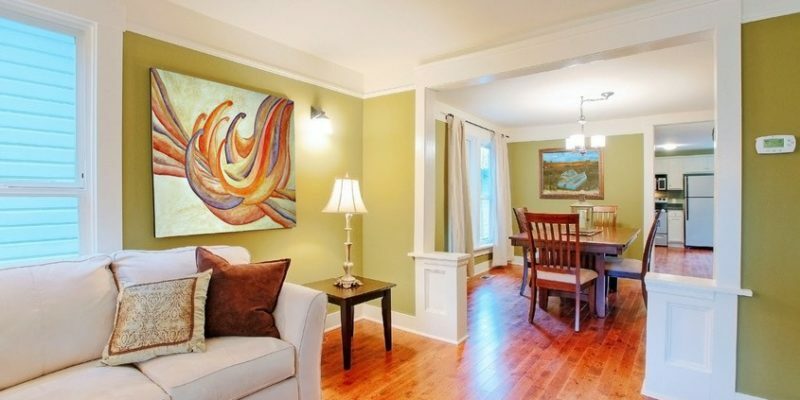 Warm yellow home lights usually have a color temperature of around 2700K, while cold white light range up over 5000K. A light bulb’s wattage is no longer the way we determine a bulb’s brightness. We now rate brightness in lumens, the more lumens, the brighter the bulb. To convert a light bulb’s brightness by watts, look at this handy chart. Most bulbs list their lifespan on the label in years, and some in hours. LED light bulbs typically do not burn out. Instead, the LED diode start to fade over time and is considered useful until it’s decreased by 30 percent. Light bulbs carrying the Energy Star service mark generally use 20–30% less energy than required by federal standards. Warranties must be longer than the industry norm (at least three years for LEDs and two for CFLs) and the Star may help you earn rebates from your utility, so check out energystar.gov/rebate-finder. All LED light bulbs are mercury free. CFL bulbs, however, contain a small amount of mercury. 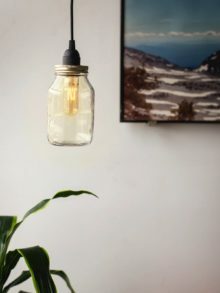 You shouldn’t be too concerned, the amount of mercury found in a standard CFL light bulb poses little to no health risk if it is disposed of and cleaned up per the guidelines from Environmental Protection Agency. Some LED manufacturers have added label notices warning about the dangers of exposure to blue light. Studies have shown that exposure to any light at night is associated with an increased risk of sleep problems. 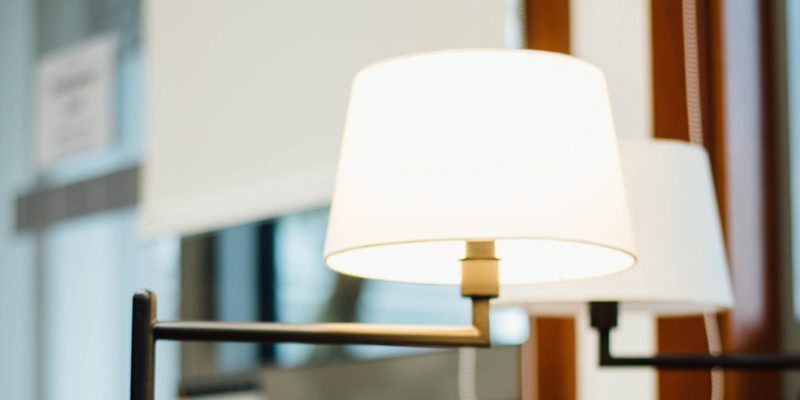 Warm bulbs with a light color temperature near 2700 kelvins are usually a better choice for the home than cooler bulbs that emit a greater amount of blue light, above 3000K. CRI is the measurement of how colors look under a light source when compared with sunlight. The higher the CRI the better you can see an object’s true color, like the difference between a pair of black or navy colored socks. CRI is measured from 0-100. 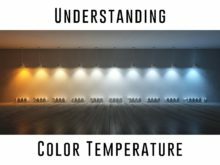 The closer a light bulbs color rendering index is to 100, the truer the colors would appear under natural light. An LED light that shines in all directions. Omnidirectional A-type bulbs are ideal for area lighting. PARs and BRs bulbs are used in recessed lighting fixtures or floodlights and have a number like 30 or 64 in their description. Divide the number by 8 to learn the bulb’s diameter in inches. You’ll need that number when picking bulbs for your fixtures.